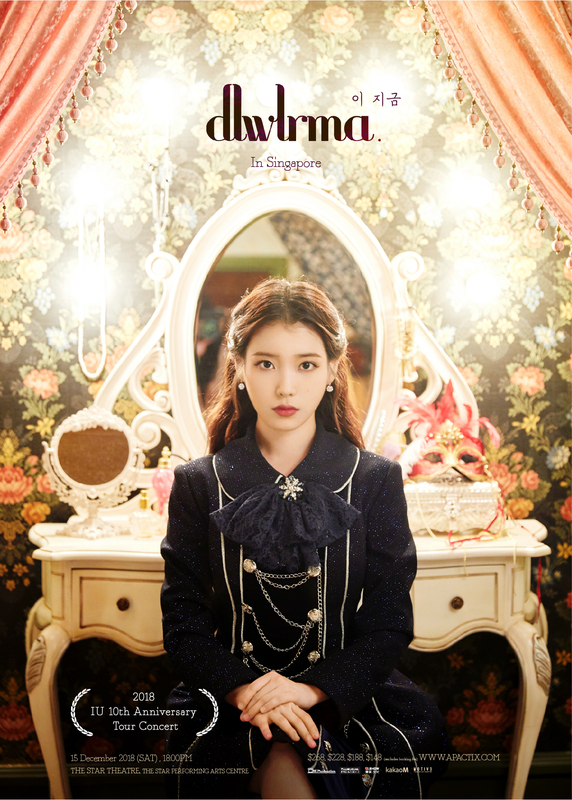 K-Pop sweetheart IU will be making her maiden appearance in Singapore with her 10th Anniversary Tour Concert <이지금 dlwlrma> on 15 Dec (Sat), 6pm at The Star Theatre, The Star Performing Arts Centre! UAENAs who have been eagerly anticipating for the vocal powerhouse’s visit to Singapore, are in for a night of romantic performances by the talented songstress! 2018 IU 10th Anniversary Tour Concert <이지금 dlwlrma> In Singapore will be held on 15 Dec (Sat), 6pm at The Star Theatre, The Star Performing Arts Centre. This will mark IU’s maiden visit to our sunny city and fans in Singapore will soon get to hear her honey-like vocals! Do not miss it! !